“Flip My Food” Comes to the Farm! The filming of the television cooking show, Flip my Food, took place at the Farm this week! 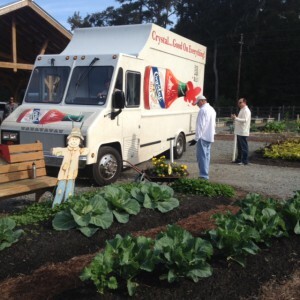 Here comes the food truck! Today’s show was all about honey, bees and cooking with honey and fresh produce from the Farm! Farmer Barbara did segments on honey tasting, cooking with honey and beekeeping . There were also cooking segments with Laura Liu, also a Beekeeper at the Farm, and Chef Darryl from Oak Ridge Pub and Grill. 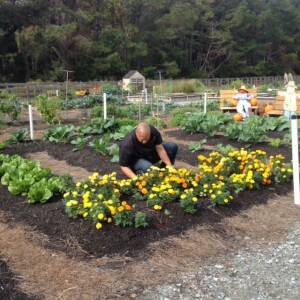 Chef Jeff cooked with honey as well as fresh produce that he harvested from the Farm! 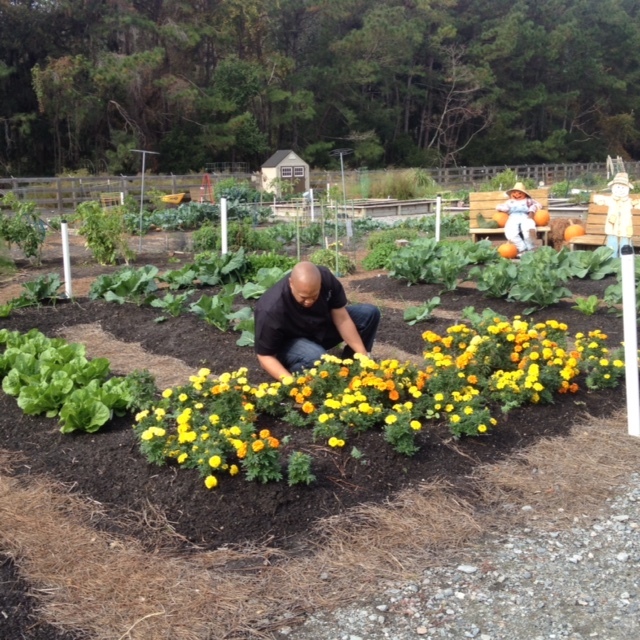 Chef Jeff picking some “jewelry” from the Children’s Garden! Chef Jeff extracting honey from the hives. 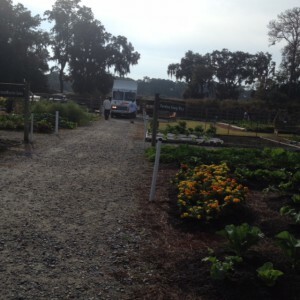 The production was a wonderful event for the Farm! 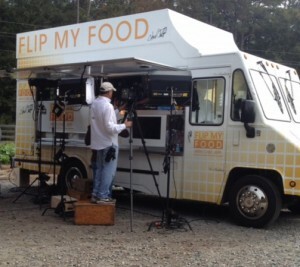 Flip My Food is on the Food Network. This show will be broadcast sometime in February (actual date and time will be posted on the Farm’s calendar asap). Read more about Chef Jeff here.